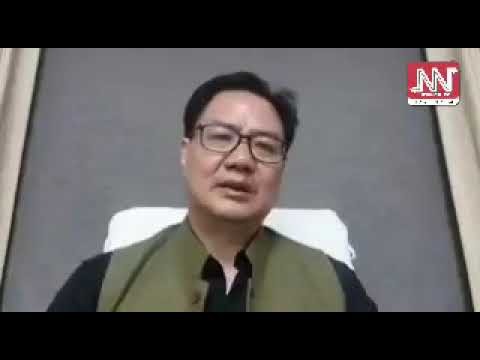 After the BJP poll manifesto promising to bring back the Citizenship (Amendment) Bill, 2016 created quite a ripple across the Northeast, union minister of state for Home, Kiren Rijiju is on a damage control mode. Rijiju on Tuesday assured that the people of the north-eastern states will be consulted before bringing up the bill, if the BJP is voted back to power. Rijiju had even said that even if the bill is implemented in the rest of the country, there will be special provisions for the Northeast. Interacting with media in Itanagar on Tuesday, Rijiju said that if other states of the country want the bill to be enacted, the BJP is committed to bring it. However, for the Northeast, the party will consult the people before taking any decision which is clearly mentioned in the manifesto, the minister of state for home added. The contentious bill seeks to grant Indian citizenship to people belonging to minority communities – Hindus, Sikhs, Buddhists, Jains, Parsis and Christians – in Afghanistan, Bangladesh and Pakistan after six years of residence in India even if they do not possess proper documents. A largescale protest had erupted across the north-eastern states as the indigenous people of the region felt that the enactment of the bill would endanger their livelihood and identity. The bill, being vehemently opposed in the region even by some allies of BJP, was passed in Lok Sabha on January 8. However, it is set to lapse on June 3, when the term of the present Lok Sabha ends, as it could not be passed in Rajya Sabha.